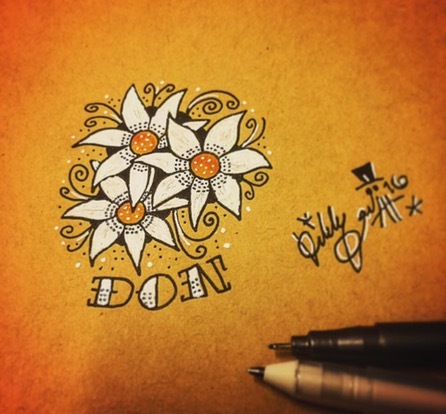 D.O.N & Daisies… Pretty idea eh? 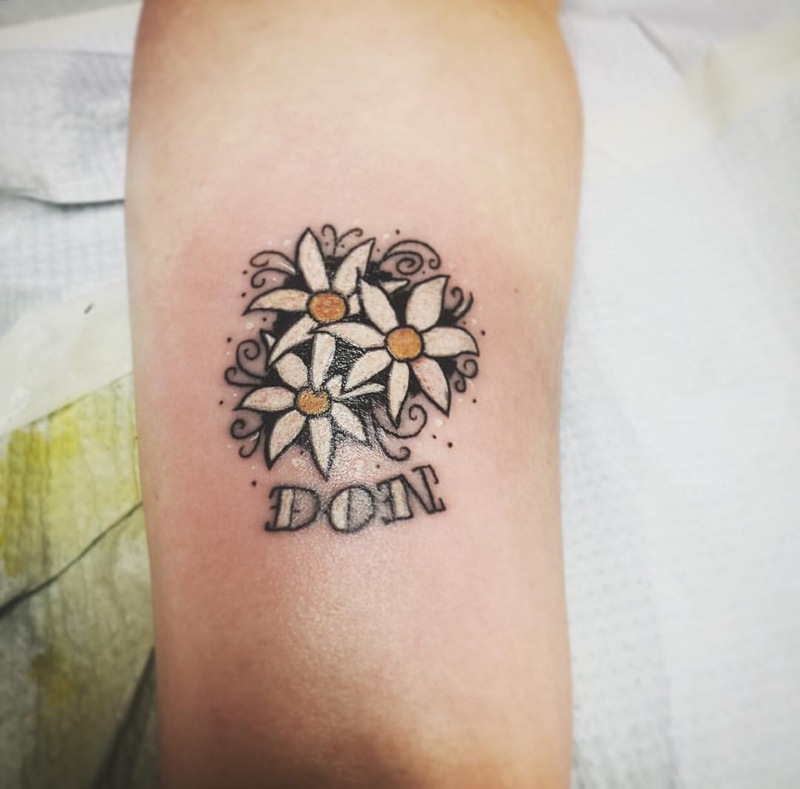 Brought this one to the table when she told the meaning of the word “DON” and that she loved Daisies… That’s where this idea got wings. She absolutely loved it and so did I. Stencil although didn’t went like I was planning but no matter, sharpie did the rest. 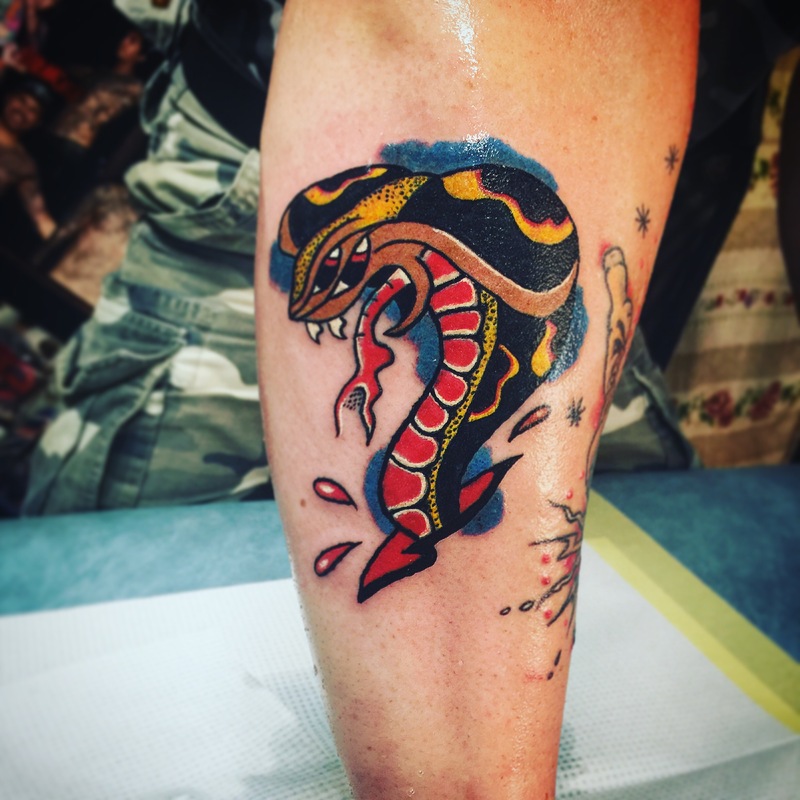 This epic piece was for my trusted mechanic who brought me an idea of the oldie cobra. After tons of changes, I’ve got the illusion in this snake eyes that if you stare it you’ve got your eyes crossing really fast. So much fun doing this, enjoyed every minute of it..
7Round liner, 9Flat shader, 14Round liner, and 7Flat shader were used in this one and colors are from very special “Oldie-color” set. 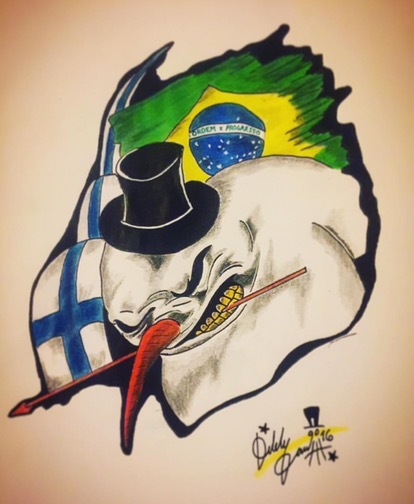 ﻿Brazilian snowman in Arctic Circle..? 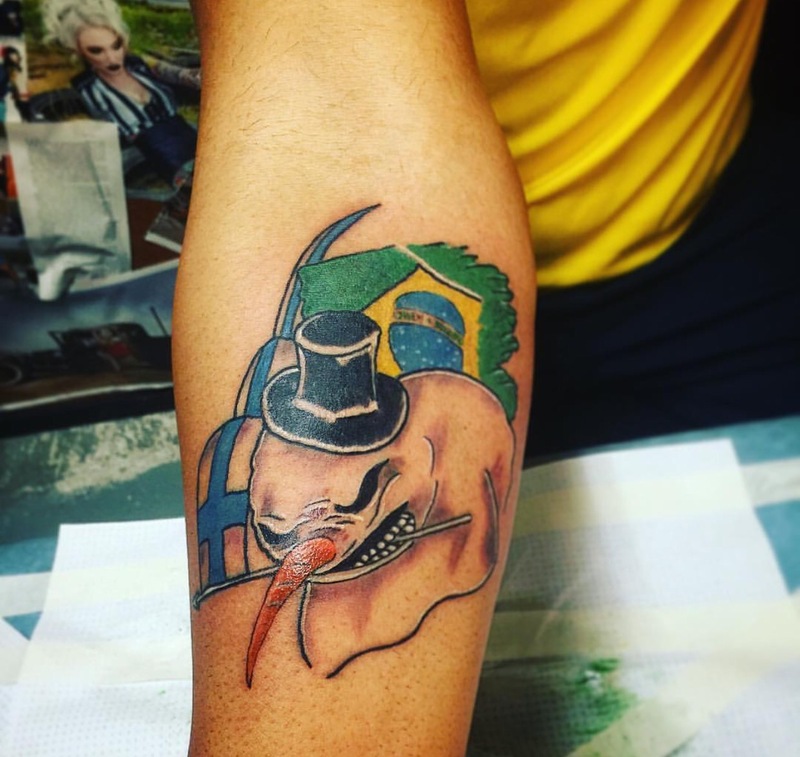 Well this is story to tell… Kiddo’s Capoeira instructor/professor wanted to have an angry snowmen on his arm with the Finland & Brazilian twist. That’s what he said, and got. Idea went for the sideways multiple times but got it together in time. Wonderful piece still missing blacks but epic already, finish this soon. 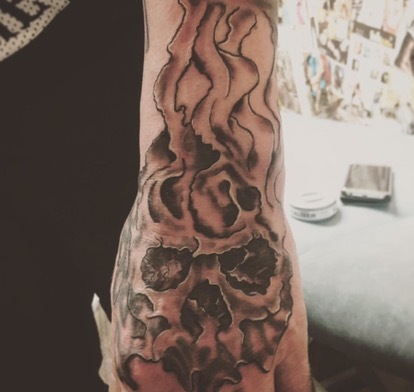 Coverup tattoo is always tricky thing to do but this spectacular sharpie piece was totally worth it. 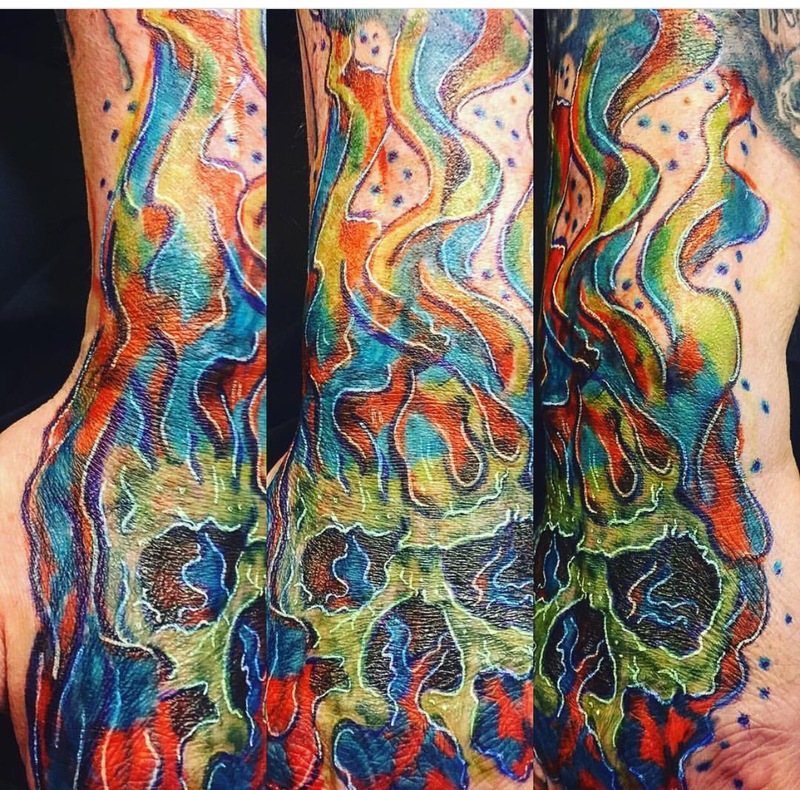 So much lines and flames so I could hide the 90’s tribal from the beginning of this skull and I nailed it good time. Few hours of Sharpie action first and then we are ready to start. 7round liner and 13Mg shader were only thing that I needed in this one. 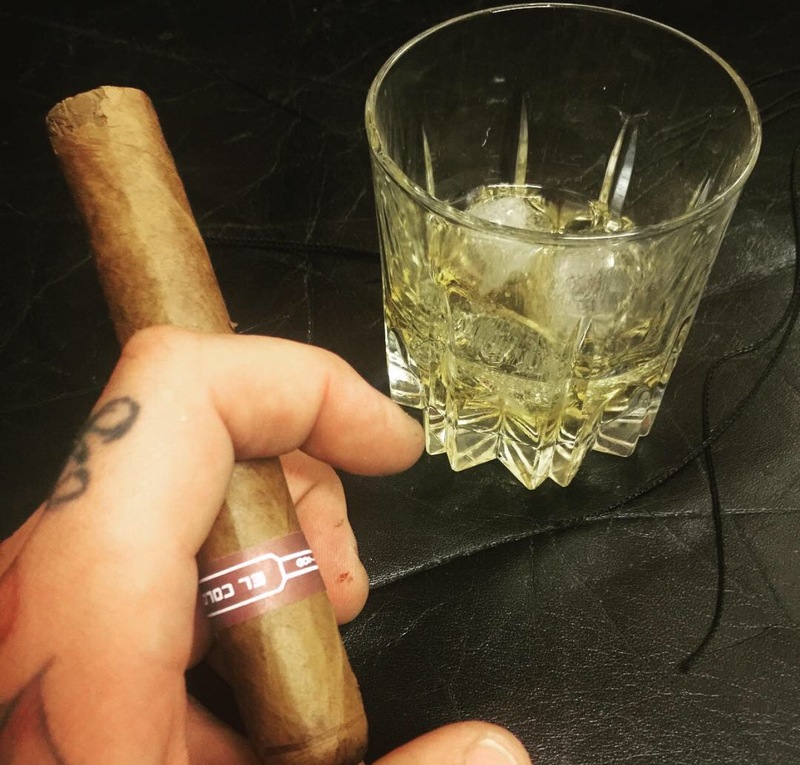 Like my bro has teach me… Simple Man from YouTube, smoke Cuban and drink Scotch. 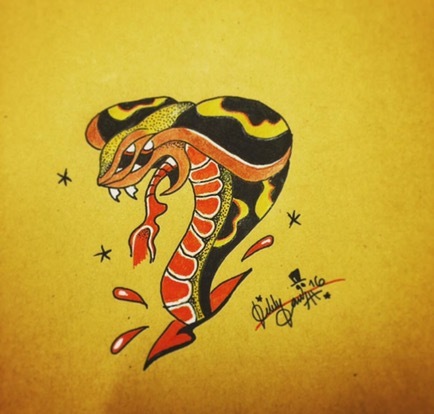 This entry was posted in Arte, CoverUp, Skin Art, Tattoo, Tattoos, Tatuagem, Tatuaje and tagged #Tattoo #INK #Inked #Tatted #Taty #Instaink #TattooArt #Tattoolife #Arttattoo #tattoowork #flashtattoo #tattooflash #Tattoos #StudioTime #Newschool #Oldschool #Tattooed #tatuaje #tatuagem #tatts #Amdr. Bookmark the permalink.